I also did a bit of work with the Sydney Symphony Orchestra Fellowship early in the year, creating their portraits for the SSO's site. We set up a temporary studio outside at Carriageworks for the shoot - but I'm not sure it shows...! The musicians were lovely to work with on the day; I hope they've had a great year with the orchestra since then! Enda Markey's Defying Gravity: The Songs Of Stephen Schwartz concert had to be one of the highlights of the year for me - not least because of the marvellous things both Stephen and guest star Betty Buckley said about my work on the show! Sometimes, it's too hard to pick a single image that sums up a show - but for me, this is the one from the Sydney Symphony Orchestra's David Bowie: Nothing Has Changed concert, the photo I always picture in my head when I think of that night. Deborah Conway was the biggest surprise for me from that cast of all-stars (though iOTA was fantastic too) - and I'm glad to see the show has had seasons in Perth, Melbourne, and Brisbane since then as well. At the other end of the dramatic spectrum from panto was the Red Line production of The Shadow Box at the Old Fitz Theatre. I worked with producer Dino Dimitriadis on creating some poster images for this show, but of course the final design was quite different from the individual images - so it's a good opportunity to just see them as they were in their original form here! What a marvellous production it was, though - glad I was able to work on it with this stellar cast. This was my second year working on the Rob Guest Endowment Gala, and once again I completely failed to pick the winner on the night! 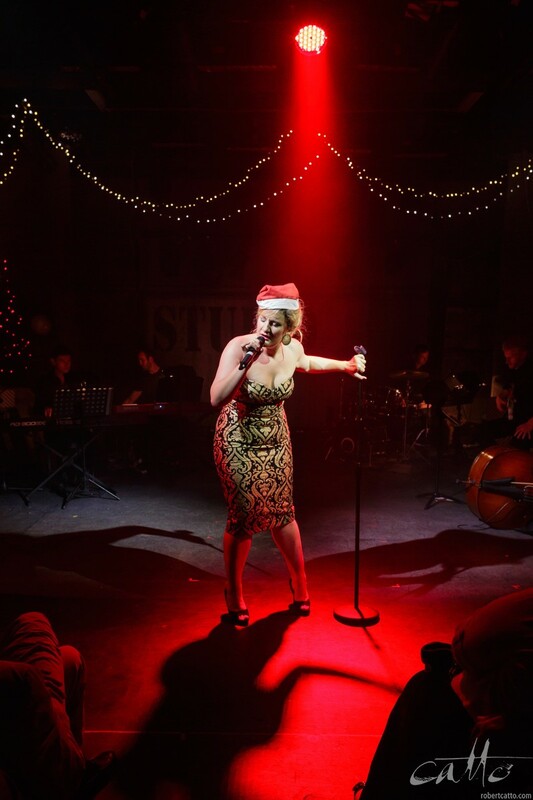 As with the Bowie concert, there's a single image that springs to mind when I think of this event - Stefanie Jones tearing the stage up as Roxie Hart, singing Funny Honey from Chicago. I got a call from Critical Stages to see if I was able to help on a show called Stones In His Pockets - funnily enough, I'd seen it in New Zealand in 2002, and the script was still sitting on my bookshelf, all those years (and a change of countries) later. Not long after that I was working with Apocalypse Theatre on In The Between, featuring Emily Havea and Jude Gibson in a pair of plays from either side of the Tasman. Once again, the original stills were quite different to the final poster design - so it's nice to have a chance to show a couple that didn't get used, in their original form, here! Of course, all through the year I was creating essays for the Kage Collective as well - it's really worth popping over to the site to see some of the work we've put together there, and not just mine of course. Some sensational essays from other members of the group, this year. But to me, 2016 ended in red - whether it was Theodora wrapping herself up in a tablecloth, or Virginia Gay in a red spotlight and a Santa hat at Carols by Cabaret - the images that finished 2016 for me are these two. All the best for 2017, everyone - and thanks to everyone I worked with over the course of 2016. Let's do it again, soon!